Revolutionary windscreen design. 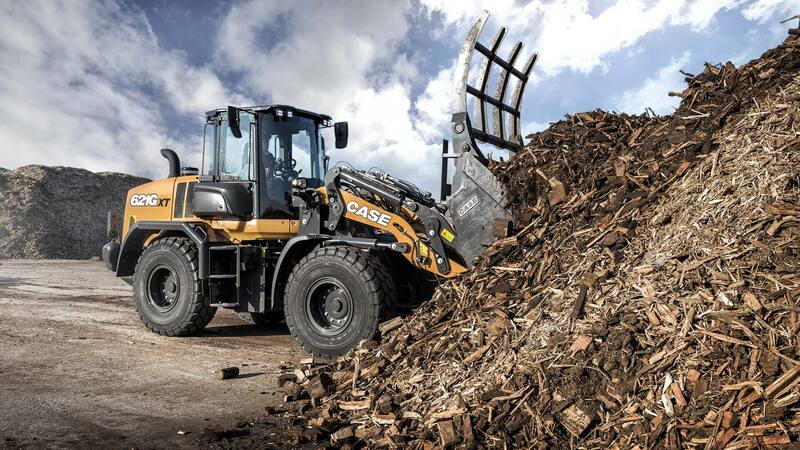 Improved comfort in quietest CASE wheel loader. 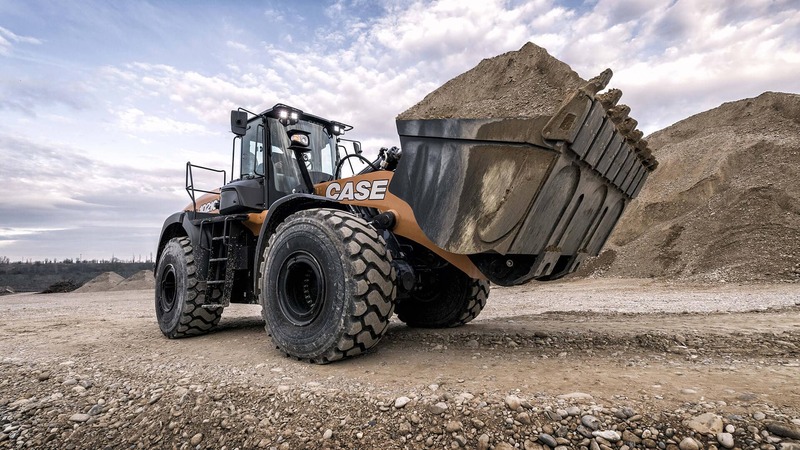 CASE Construction Equipment launches today the seven-model G-Series range of wheel loaders, delivering new levels of operator comfort, with proven CASE productivity and fuel efficiency. Superior payload to weight ratio for maximum productivity. 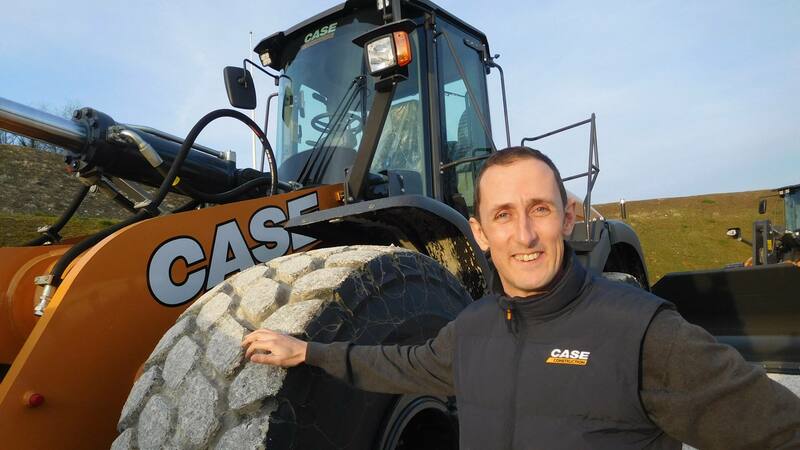 CASE Construction Equipment has developed the quietest, most comfortable wheel loader cab, available across a new seven-model range of G-Series machines. 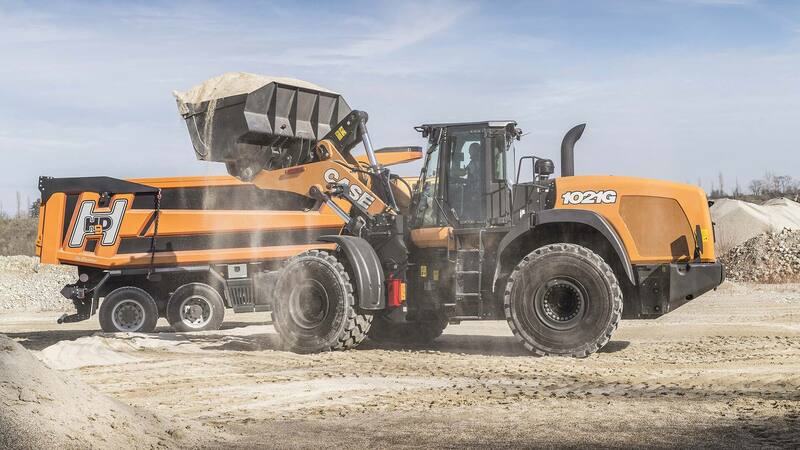 The G-Series wheel loaders deliver the highest possible levels of visibility and control, providing operators with the perfect working environment to maximise productivity. 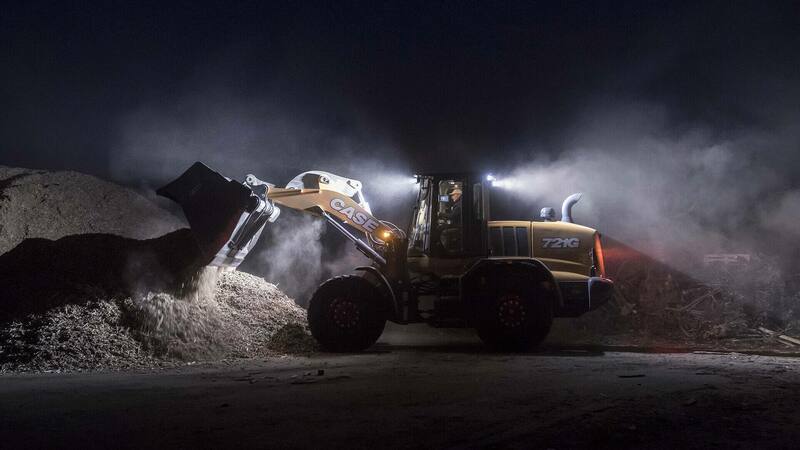 The cab is the wheel loader operator’s home and their office, and it plays a major role in their everyday life. 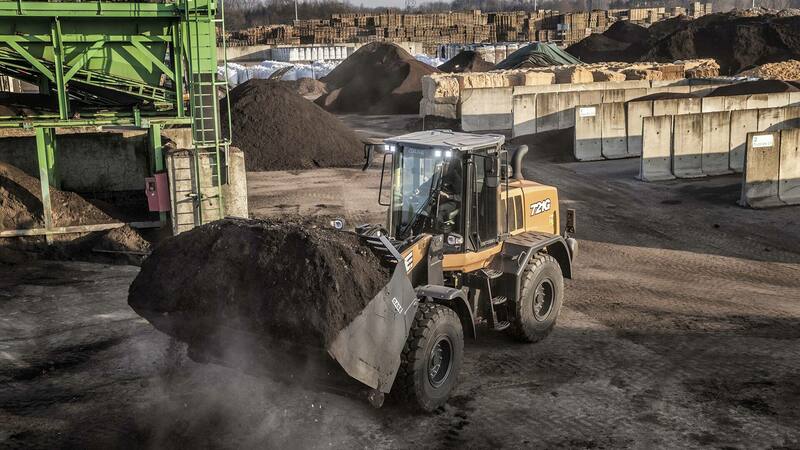 Drivers can spend many hours a day in the machine, making cab comfort and working environment an essential component of a productive machine. 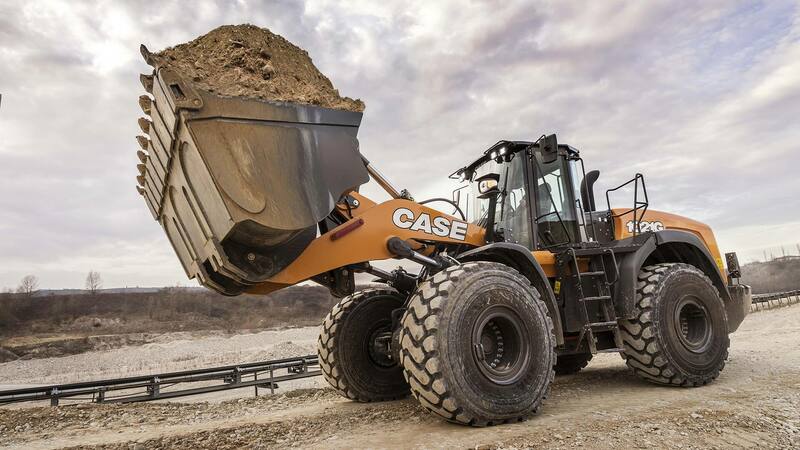 CASE Construction Equipment has a history of innovation, pioneered through many generations of wheel loaders, since 1958. 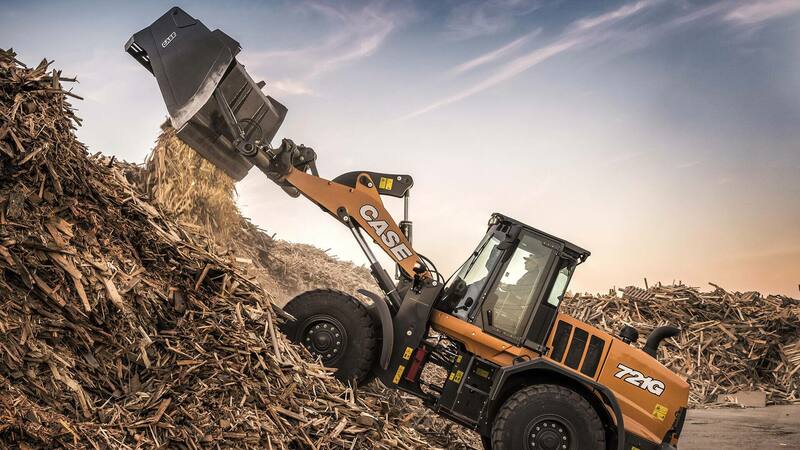 The G-Series cab takes comfort and visibility to a new height, delivering a host of improvements. 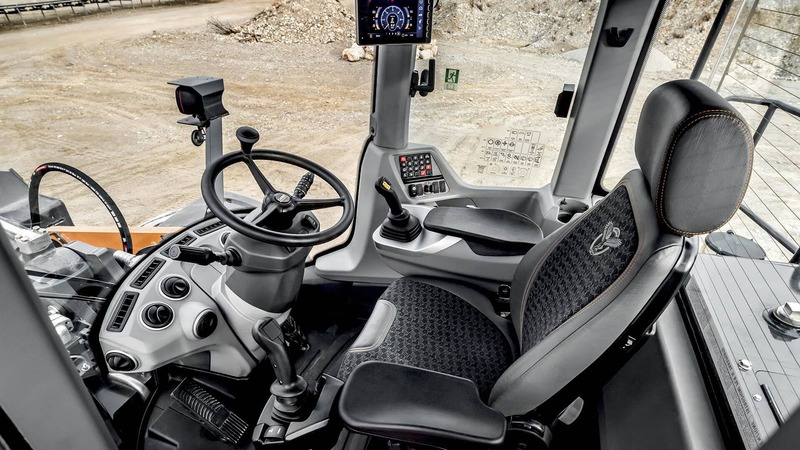 This includes a full width panoramic windscreen, a colourful Premium Control interface with 8” display, fully adjustable seat-mounted control console, the security of a password-protected ignition and the ease of automatic bucket functions adjustable from within the cab. 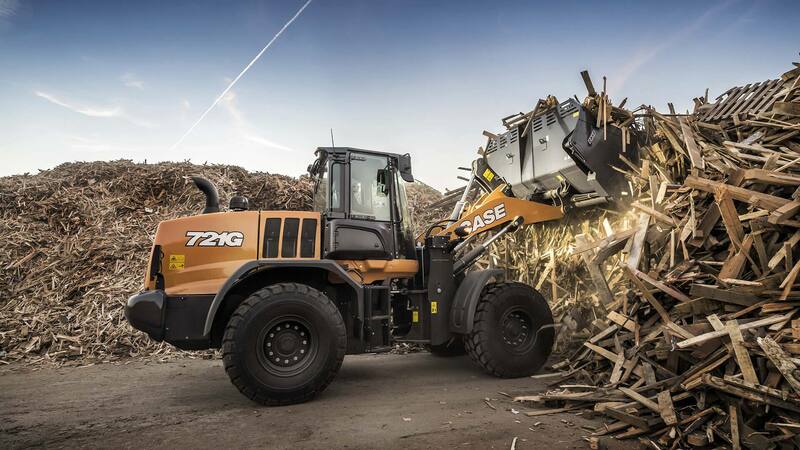 The operator also benefits from smooth, low effort loader controls, an active suspension seat and the machine features hands-free mobile phone connectivity. 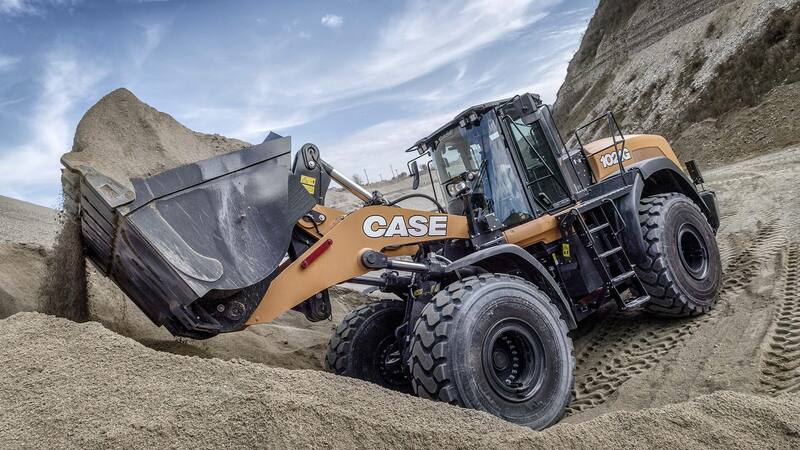 Building upon the popular CASE F-Series cab, which already boasted a best-in-class windscreen size, the G-Series loaders have a one-piece curved front screen that provides an unparalleled view from side to side, from the ground to the sky. 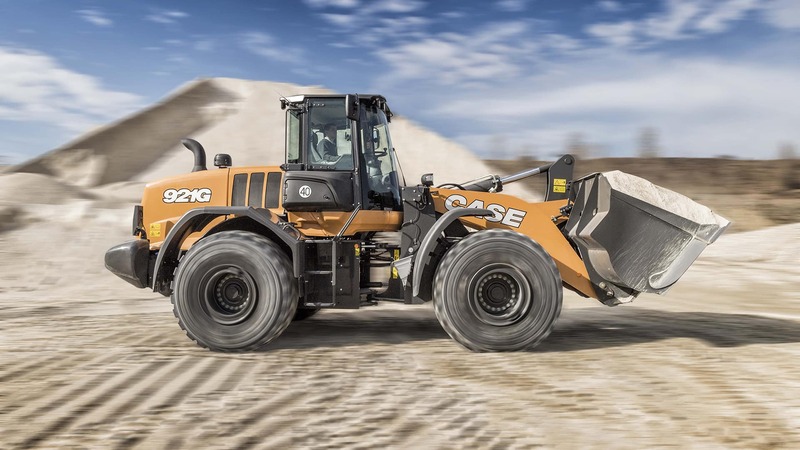 Along with a slim engine cover, heated rear window and multiple rear view mirrors, the G-Series wheel loaders deliver a level of front and rear visibility that has never been seen before. In-cab noise levels are a full 2dB lower than the previous generation of machines. 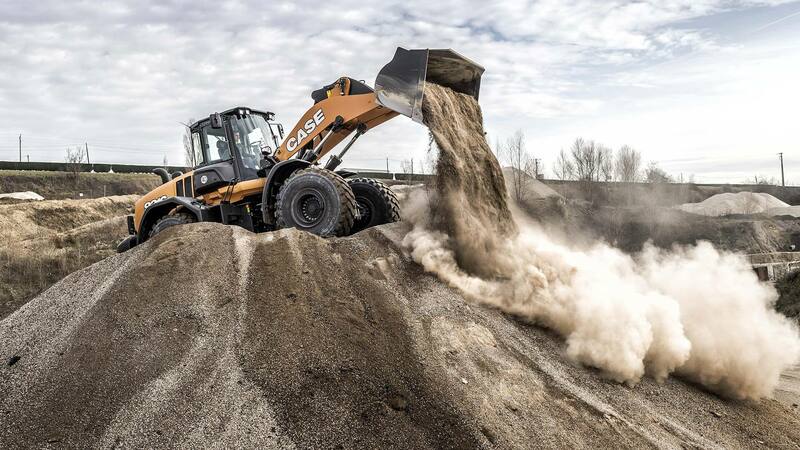 The 521G to 821G loaders boast just 68dB in the cab, while the 921G to 1121G have noise levels set at just 69dB, the lowest internal levels yet seen on a CASE loader. The cabs benefit from improved primary and recirculation air filtration, with longer filter replacement intervals. High effectiveness and Active Carbon filters can also be supplied for tough working conditions. 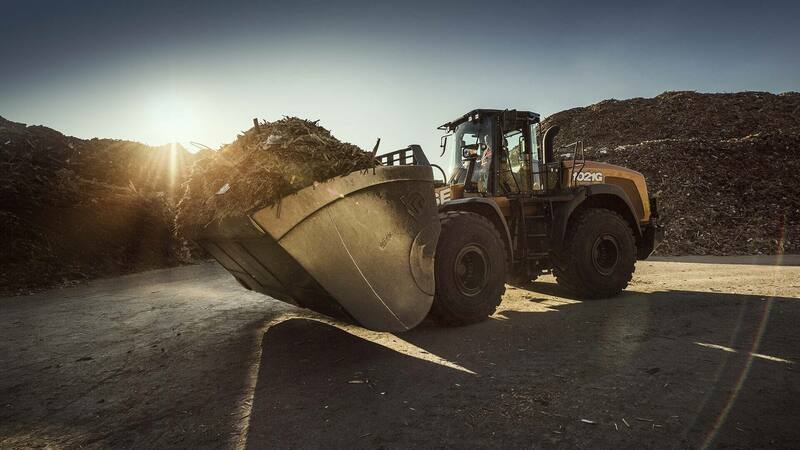 The operator control interface in the G-Series wheel loader cab is easy to use, contributing to improved controllability and productivity. A bright, full colour 8” display is easy to read regardless of external light conditions, delivering intuitive navigation through machine settings and information screens. The display also provides a wide view rear monitor when required. There is a new control pad for automatic bucket functions to be set and adjusted from within the cab. The seat-mounted console is fully adjustable and features a wide armrest and ergonomic joystick that, combined with electro-hydraulic controls and the redesigned premium active suspension seat, delivers accurate control in all working conditions. 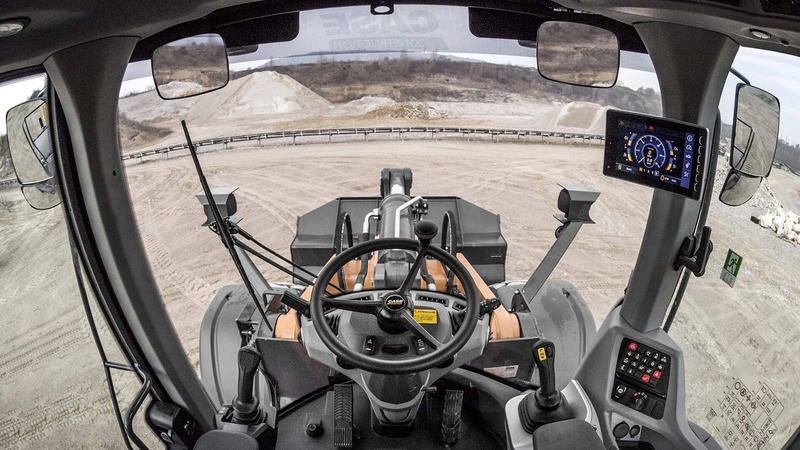 A joystick steering option provides two equally-sized joysticks with wide armrests on both sides of the seat, like CASE Construction Equipment excavators. Joystick steering features speed proportional sensitivity with three settings that allow the operator to perfectly match the machine to every operation and jobsite requirement. New features include an integrated microphone that, combined with a Bluetooth connection and automatic answering function, allows operators to answer phone calls safely without taking their eyes of the working area or their hands off the controls. Operators will also welcome the convenience of multiple storage areas for documents and personal effects and a fridge box option that can keep food and drinks fresh and cool all day. 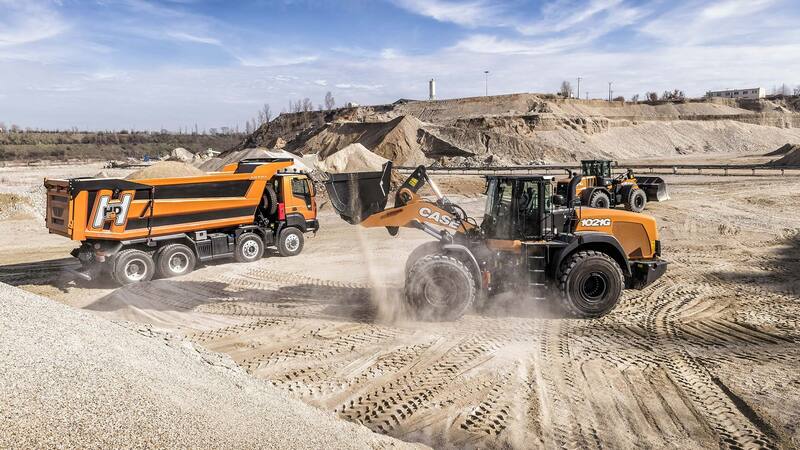 All G-Series wheel loaders are powered by efficient EU Stage IV/Tier 4 Final diesel engines with no Diesel Particulate Filter (DPF) or Exhaust Gas Recirculation (EGR). FPT Industrial’s Hi-eSCR after-treatment system uses fewer components to meet exhaust emissions standards, allowing for a compact engine compartment and reduced maintenance costs for customers. All major components are sourced and the machines are assembled in Europe. The proven cooling cube, which puts the machine’s radiators and coolers in the middle of the machine rather that at the rear, ensures that cooling cores are kept out of dusty working areas to provide maximum cooling effectiveness. Optimised weight distribution contributes to increased payload capability and machine stability. The G Series machines drive through proven CASE transmissions that offer improved fuel efficiency and reduced cycle times. 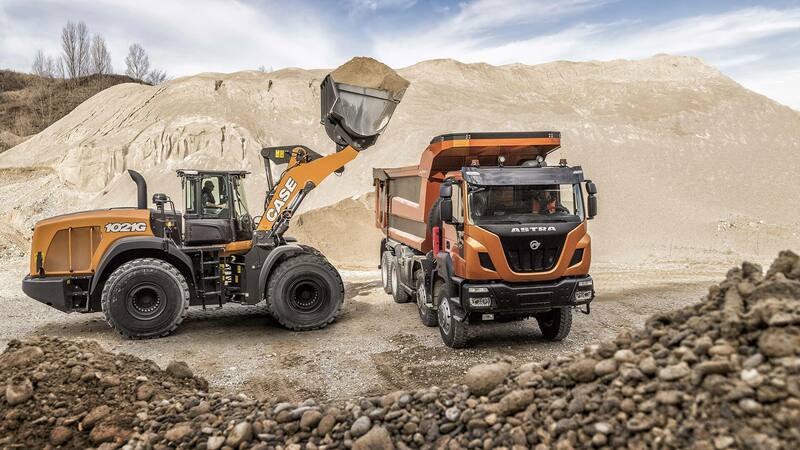 CASE heavy duty axles with wet, multi-disc brakes, have open differentials to reduce friction, with an optional 100% Auto-lock to deliver maximum tractive effort and reduced tyre wear. 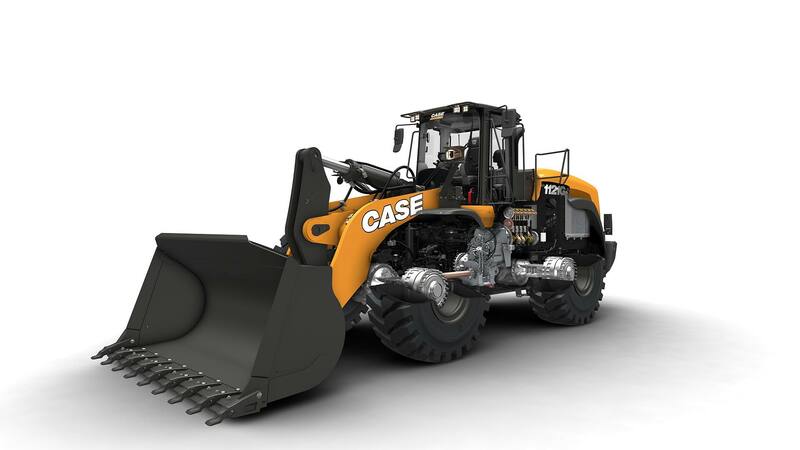 The G-Series loaders feature the new CASE Construction Equipment livery, present in all product ranges, which reinforces the core values of the brand: “We have used trends that are being led by our automotive brands, with dark colours on the wheels and lower mechanical section of the machines and the upper bodywork in ‘power tan’ to enhance the feeling of strength,” said David Wilkie, CNH Industrial Design Centre Director. “We have also done a lot of work on graphics, moving towards a very bold, clear, 2D graphic, that gives a feeling of clarity and with a reflective finish that can be seen at night.